UUAWOL ministries encourages people to covenant together to affirm and promote the seven principles, the seventh of which is respect for the interdependent web. This respect involves being good stewards of the earth's resources from which clothing is made. 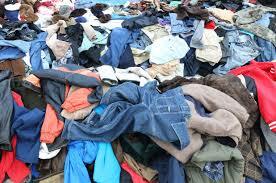 What do you do with your used clothing? Have you ever considered re-cycling as a spiritual practice? Would you make it one of yours?